It's my favorite day - FRIDAY!! I realize I've been a tad delinquent in posting these days. But I'm back! Life has been busy lately, but in a good way. My crafting buddy, Beth, and I just signed up to do the SWEA Christmas Fair again this December here in Los Angeles (Lucia festival!) and so begins the crafting! We're also thinking about doing another Christmas fair this year...2 in one season?! Are we crazy?! Yes. We definitely are a tad crazy, the good kind of crazy though. This week, I made this homemade BBQ sauce and it turned out pretty fantastic. I did substitute the Worcestershire sauce for tamari but that was it. I also made these blueberry muffins for our to go breakfasts for the week. Also quite delicious. Other than the usual tom foolery, not too much has been happening here. Roller derby is still going great, and I finally picked out my name: Eleanor Throwsevelt, number 1933 (her first year as first lady). I'm loving skating so much! So, for the Fika Friday. I didn't have an official fika this week [gasp!] so I decided to do a throwback fika from when Ryan and I were in Japan. Best part: Japanese cafes are the cutest. It's all in the details and this fika was no exception. Darling decor and delicious, cutesy treats! It's my favorite day! Fika Friday! My favorite fika this last week was when Ryan and I went over to the city of Orange. We woke up early (for a weekend day), so we definitely needed a little mid-morning fika. Because it was pretty hot out, we decided to go fancy with our coffee drinks and get a couple of frappacinos! Yum! I got a mocha one and Ryan tried the caramel crunch one - both were delicious! Ah yes, and we split this delightful cheese danish. Last weekend, Ryan and I ventured over to Orange, California. It is a super cute little town just over an hour south of Los Angeles. It has antique stores galore!! The real find of the day was this $8 Orrefors crystal bowl! It was marked at $40, but the booth was going out of business and having a 75% off sale. Score!! I visited the Orrefors factory when I was studying in Sweden and it's fun to find such a good deal. We also found this vintage candy shop where Ryan was overjoyed to see so much candy all in one place. All in all, a fantastic trip! I love weekend getaways. Happy almost Friday! SO CLOSE! It is FRIDAY people! Let's celebrate! Pour yourself an extra cup of coffee and relish in the start of the weekend. 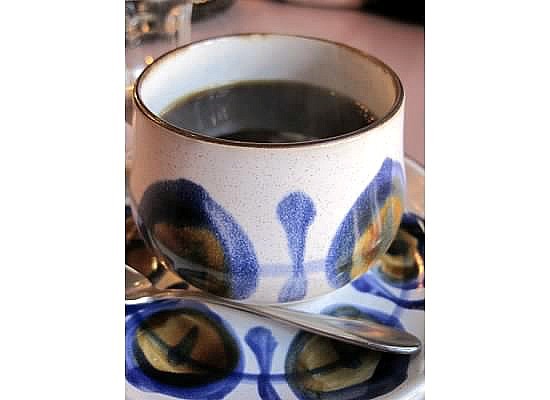 Best part: Reminiscing about our Hawaiian vacation over a cup of Hawaiian coffee! I'm so excited for the weekend! Ryan and I are heading back to the town of Orange tomorrow to check out more antique stores. We're on the hunt for a rocking chair. And who knows what other treasures we may find! 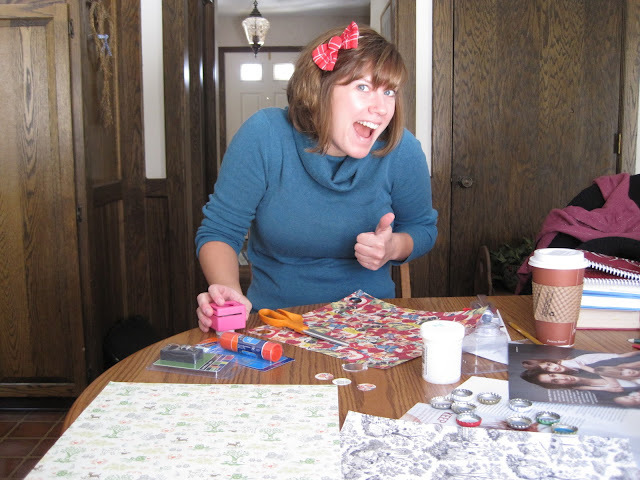 In an effort to orgnanize and back-up hundreds of my photos, I came across a few crafty projects I never got around to blogging about. This is from almost 3 years ago. Holy cow. 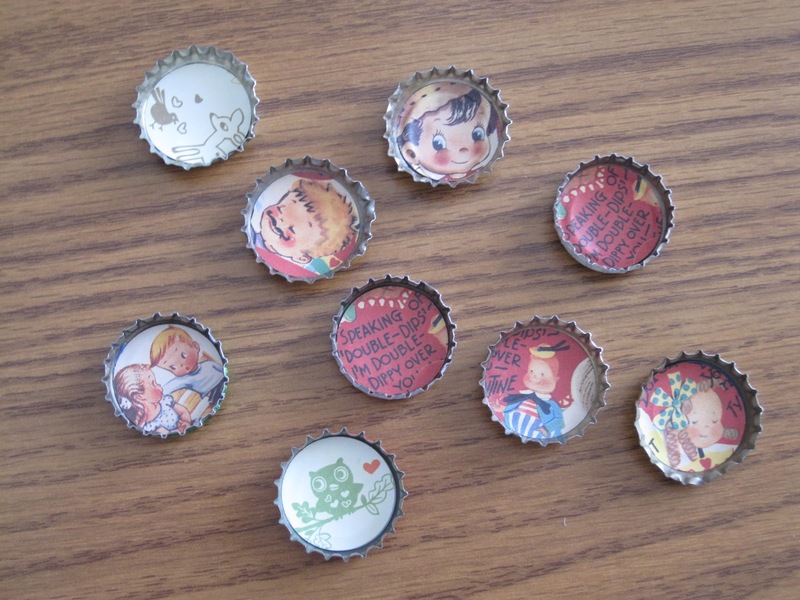 They're bottlecap magnets that you use a circular hole punch and decorative scrapbook paper then glue them to the bottom of a bottlecap. 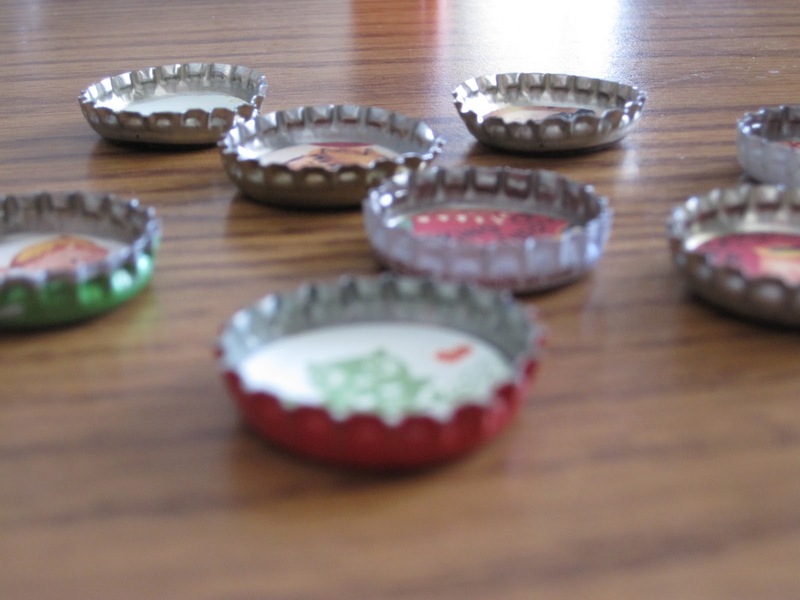 Then, you pour this apoxy-type substance over and fill it to the top of the bottlecap. 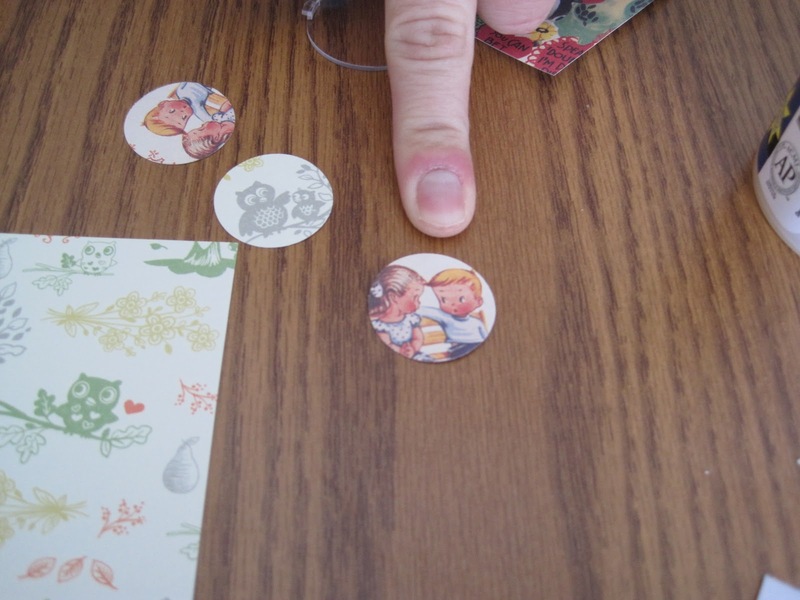 It hardens and dries clear and you are left with a cute little magnet! I hope you're having a wonderful week! Happy Wednesday!